Mageroyal and Briarthorn are both very valuable on the auction house but may take awhile to sell. You can make 5-10g per stack of Mageroyal and 10-20g a stack for Briarthorn. This is a great herb to farm if you’re between level 20 and 30. They are used to level Alchemy, Inscription and to make some low level potions. You can farm all you will ever need of both of them in Hillsbrad Foothills. Make sure you’re at least level 24 or 25 before attempting to farm these herb. If you’re Alliance, it’s worth traveling to Hillsbrad Foothills to farm this stuff. 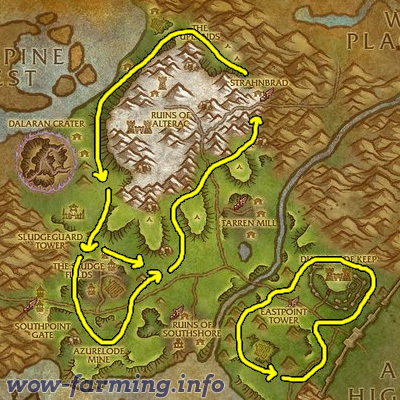 Update: You can make a lot of gold with Mageroyal & Briathorn, but if you want to step it up and make thousands of gold you should read my personal favorite guide.